Man, it's like someone at Marvel is re-reading 90's Avengers comics and realising how great they were. Not only is 90's Avenger Hercules getting his own series, Dane Whitman, The Black Knight has just had the same kudos given to him - which is long overdue, especially as he was the 90's team's flagship character. That 90's love square of Quicksilver loving Crystal who also loved the Black Knight, who also loved the mad eternal Sersi, was the stuff of comic gold. But mind you, most of his history is. Dane's sole weapon of fate is the ebony blade, one of the most powerful devices in the MCU. Crafted from a meteor by Merlin, it has driven mad all its 'welders', except Dane. He feels it is his responsibility to battle the blade's influence, in order to prevent others from sharing the fate of his predecessors. And battle he does. The fight to retain his sanity isn't a Whitman win by a landslide, it's literally resting on a knife-edge according to series writer Frank Tieri on Newsarama. Left on the Secret Wars setting of Weird World, due to an event that includes Steve Rogers and the Uncanny Avengers, the former member of Ultraforce (from the much missed Ultraverse line of comics), MI:13, Heroes for Hire, The Defenders and more must embrace his new sword and sorcery environment in order to survive. "I think Dane is an underappreciated character and has been for a long time and hopefully this series fixes that," Tieri tells Newsarama. "What if the Ebony Blade was not the only object of its kind? What if there were other artifacts that came from that meteor that Merlin carved the Blade from? And for that matter…where the hell did that damned meteor come from in the first place?" 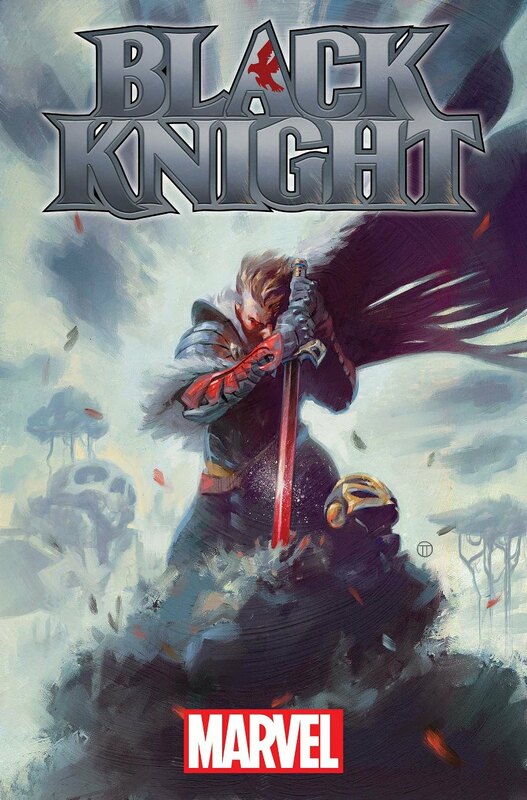 A Black Knight series huh? Cool. Especially digging the new settings, WeirdWorld. If there's a better place for Dane outside of medievel England, I don't know where it is. I'm intially erring on the side of cautious optimism, boarding on pessimism though since history hasn't always been kind when Marvel tries something new, or a new spin on an old character like this. I really hope it works because if it does, than as you say, it opens the door for other popular 90's characters like Sleepwalker and Darkhawk to get their due. I also hope Frank Tieri does a really good job since he loves Dane, but going off his past track record, maybe someone else should takeover or assist Tieri on the book. Either way, go Dane. You're right Dane, after Cap left following Opertation: Galactic Storm, the Avengers really did become Dane's book. And even when Cap did return, Dane held onto his spot untill he left. It was the best from a decade that wasn't always kind to the Avengers, So here's hoping Dane gets his due.